Last room available for just £180PCM. Please note this is a house share. Open house are delighted to bring to the rental market this three bed end mews property available from end of May 2019. Briefly comprising: hall, lounge, kitchen/diner and cloakroom to the ground floor. The first floor offers three bedrooms and family bathroom. Gardens front and rear with . 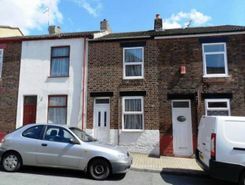 FastMove Lettings are Pleased to Offer To Let this modernised two bed mid terraced property located in widnes on a quiet side road within walking distance to amenities. The property comprises of in brief to the Ground Floor: Lounge, Dining Room, Fully Fitted Kitchen with Stainless Steel Applia. TheHouseShop.com is the leading property marketplace in Widnes in Cheshire and has been helping landlords, tenants, sellers and buyers to save money when buying, selling, letting and renting property online. Property marketplace, TheHouseShop.com, showcases property listings from private landlords, private sellers, high street agents, online agents and developers – meaning that tenants and buyers can find a unique selection of property from both professionals and homeowners. Tens of thousands of home hunters use TheHouseShop's marketplace each and every day to search for property in Widnes in Cheshire and we can help sellers, private landlords and estate agents advertise their properties to this huge audience. Private sellers and landlords can generate more interest from buyers and renters by using TheHouseShop's marketing boost options. Private landlords in Widnes in Cheshire can use TheHouseShop to advertise their rental properties and find quality, reliable tenants for free. 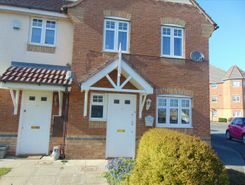 People looking for property to rent in Widnes in Cheshire will find a wide selection of houses, flats, apartments, bungalows and maisonettes available from letting agents and landlords on TheHouseShop.com. Tenants use TheHouseShop to find affordable rental property in some of Widnes in Cheshire's most desirable areas and can narrow down their search according to their budget, location and property specifications. 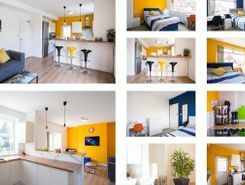 TheHouseShop.com showcases thousands of properties to rent including private landlords accepting DSS, 4 bed houses to rent, rental properties with pets, studio flats, 2 bed apartments and more in Widnes in Cheshire and the surrounding areas.. Tenants will find a unique selection of property on TheHouseShop.com as many of our private landlords will not advertise their properties on other major property websites. 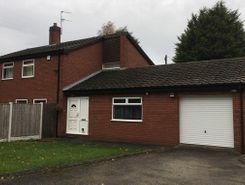 Home hunters who rent property direct from a landlord can save on administration fees and get ahead in the competitive Widnes in Cheshire rental market. 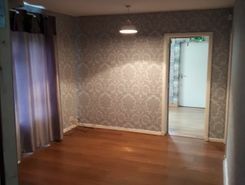 Tenants can find a variety of cheap rooms to rent in Widnes in Cheshire in TheHouseShop's Flat Share section. Tenants looking for cheap rentals in Widnes in Cheshire's most popular areas should consider a Flat Share instead of renting out a whole property. TheHouseShop's Rental Guarantor service makes it easier for Widnes in Cheshire renters to secure their dream property with the help of a guarantor based in the United Kingdom to reassure their landlord. Landlords can use our free online rental calculator to determine the perfect price for their Widnes in Cheshire rental property. Private landlords can also benefit from a range of landlord services including: tenant referencing, rent guarantees, tenancy contracts and landlord insurance products. Landlords can safeguard their property with tenant reference checks on TheHouseShop.com which include tenant credit score, rental history, background checks and more. Renters looking for property to rent in Widnes in Cheshire and the surrounding areas can sign up for free property alerts on TheHouseShop.com and receive instant email alerts anytime a new rental property meeting their requirements is added to the site. Property investors and private landlords can search thousands of cheap Buy To Let investment properties from house builders, estate agents and private sellers throughout Widnes in Cheshire on TheHouseshop.com.